Spending hours on playing video games is definitely fun but too much of it can still result in harmful consequences. Eye strain is one of the leading symptoms when it comes to overexposure on the PC or TV screen. Wearing computer glasses help in combating the harmful UV rays and promote visual acuity. And yes, gaming glasses do exist, which are 0.0 grade and its main purpose is to protect the eyes. Today we’ll be talking about the best gaming glasses 2018 that you should have for safe gaming. 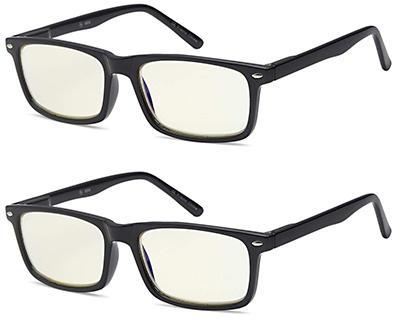 The Gameking computer glasses are a perfect balance of affordability and functionality. Its Swiss TR90 frame makes these glasses absolutely lightweight as if you’re not wearing anything. Combine that with its anti-UV amber tinted lens and you are guaranteed to be playing games for hours without stressing your eyes. It blocks up to 400 UV, meaning it can resist against bright blue lights at peak condition. The lens themselves are also scratch-resistant and easy to clean. The anti-reflective coating helps in preventing you from having a headache while either working or playing on the computer. 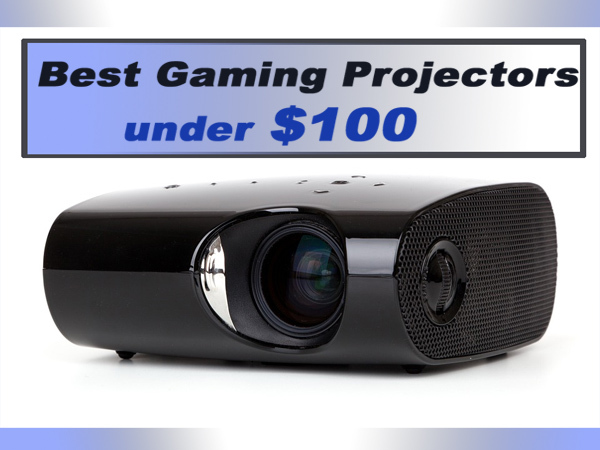 It also minimizes glaring effects from computers or TV screens which is ideal for gamers with sensitive eyes. However, when it comes to fashion, these are glasses that you would not want to wear outside your home especially if you are clothing-sensitive. In some ways, it’s a pretty tacky design but thankfully its functionality outweighs the lackluster look. Not to mention there is this red glow that comes right under the glasses whenever the PC or TV screen is very bright. If you are in need of such a bright display, you might get annoyed with the red glow just above the nose area. 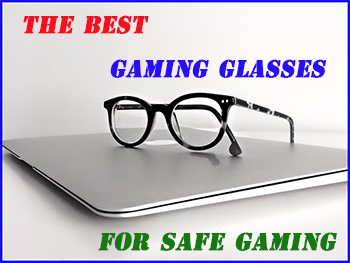 If you are in need of good computer glasses, especially for gaming, the Gameking glasses are good. Affordable and effective indeed. Just don’t go into a crowd wearing this or you’ll just look ridiculous. 2. 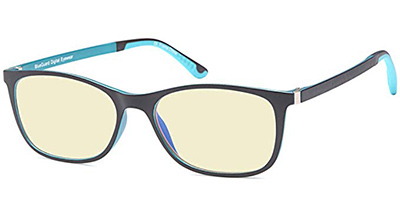 Gamma Ray Optics Computer Glasses — For Gamers Who Don’t Want to Spend Much Money on High-Powered Gaming Glasses. Best Gaming Glasses under 30. The Gamma Ray Optics glasses aren’t really intentionally for gaming but it still functions one. Do not expect anything really fancy here because this is a very basic pair of computer glasses. Yes, you can still use this for gaming too which is good. It comes with a case for the glasses along with a cleaning cloth which is nice. However, you get what you paid for – standard hybrid TR90 nylon-plastic frame and plastic lens. It’s also non-polarized, meaning it blocks bright lights and neutralizes screen visuals but not increase in visual comfort. However, this does not mean the glasses are scratch-resistant at all. Nothing much to say about this product except that it’s a good starter kit for anyone wanting decent gaming glasses. In some ways, the J+S Vision gaming glasses are like hipster glasses but with an actual purpose. Not only do the J+S Vision glasses does what good computer glasses do, it also looks really good. These are the best gaming glasses for the the PS4, Xbox One, PC and Twitch. It is everything good gaming glasses need to have. The anti-UV lens with anti-reflective coating helps you stay in the game for long hours without feeling sick. Blue light tends to ruin the eyes after prolonged exposure. But with these glasses, they block out as much as 90% of blue light—much higher than standard computer glasses. And unlike other computer glasses, this is non-tinted. You can actually use this either for gaming, working, or impressing friends with your fashion sense. These are low-color distortion lenses which are a great balance between viewing quality and eye protection. On the downside, the frame itself is just plastic which can feel a bit cheap. Not to mention these are not scratch-resistant too. But other than that, this is an exceptionally good pair of computer glasses. It was tailored for three purposes: working, gaming, or going out. If you think HyperX was just manufacturing brilliant headphones and flashy gaming chairs, you thought wrong. The HyperX gaming glasses are manufactured solely for the purpose of gaming. It is even an official accessory in esports too. Competitive gaming tends to be strenuous too and so HyperX came up with a pair of glasses for the long hours of skill-savvy sessions for pro players. Its frame is a fancy mix of nylon and plastic while the lens themselves are MR-8 material. Mr-8 is a high-grade material that effectively reduces color distortion and the harmful effects of blue light. For any social situation, it’s very fashionable in design. It’s very sleek to look for sporty attires but wouldn’t match with formal wear. You have to give props to its hard-shell case since it just looks really pro-gamer. However, the major downside of this product is that it is just too expensive. It does the same functionalities as that of any cheaper computer glasses but this one was by an esports affiliate. You are paying for the brand name here, not the just the basic functionality of gaming glasses. And honestly, its effectiveness does not differ much from its competitors. Honestly, it’s more expensive than most of their keyboards, headphones, and mouse which makes it rather ridiculous. 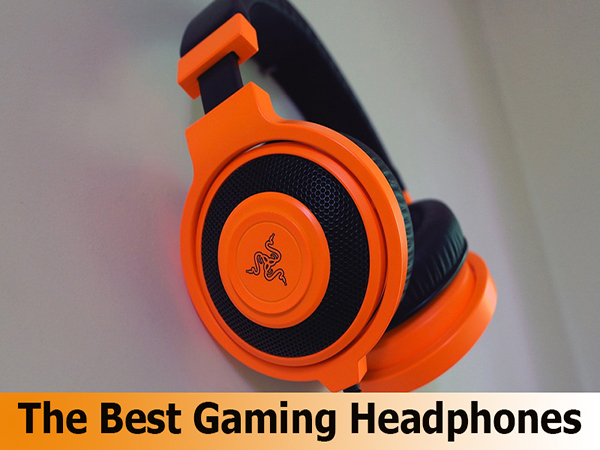 But if you are a true HyperX fan and has infinite money, then ,by all means buy this one. It really is a pair of pro gaming glasses. 5. 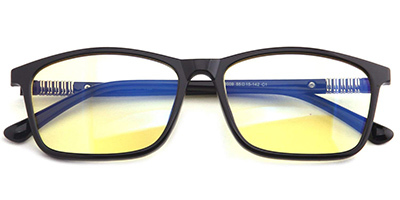 Gunnar Optiks Gaming Glasses — A Sporty Look for Both Men and Women who Love to Play Competitive Games. These are without a doubt the best gaming glasses for eye strain. The Gunnar Optiks gaming glasses looks like Oakley-style shades but for gaming. Believe it or not, ophthalmologists recommend the Gunnar Optiks glasses since they are both lightweight and easy on the eyes. 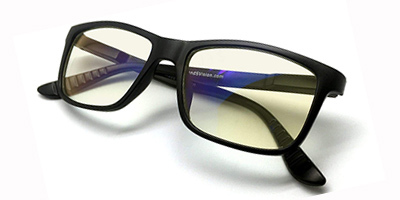 It is the only computer/gaming eyewear with a patent and approved by doctors. It does a stellar performance in blocking harmful UV rays and blue light too. It blocks 65% of the blue light and an incredible 100% on UV. This, by far, has the most resistance against the harmful rays. No more will you worry about macular degeneration and production of cataracts. For its design, it does look very techy but not viable to use for fashion purposes. It’s definitely just for gaming but it is also great for computer-related work, not to combine with your attire. The frames are a lightweight metal which makes up for the price. Lens themselves are non-polarized and clear too. 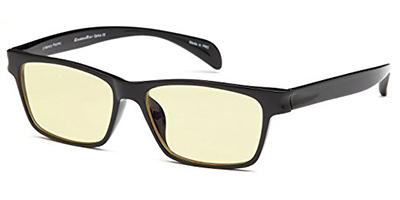 As for the setback, just like the HyperX glasses, these are pretty expensive. There are a lot of other gaming glasses out there that are cheaper but offer the same amount of resistance too. 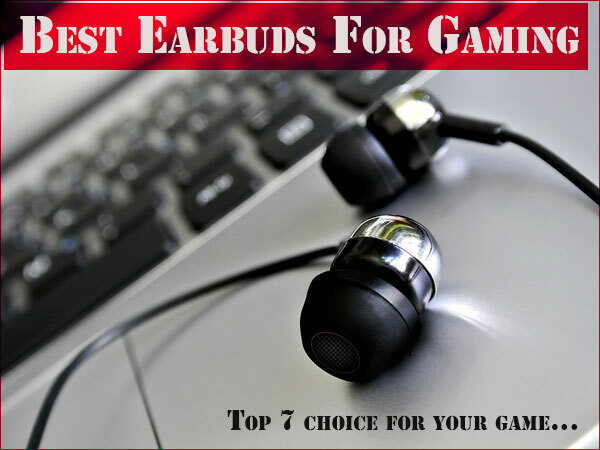 But unlike them, these glasses fit perfectly with your gaming set-up. If you need glasses that are certified by professional doctors for intense hours of gaming, I suggest you get this. Two is definitely better than one and in the case of Altec Vision’s package, this is worth the buy. It’s much cheaper than any other pair of glasses here and it’s fortunate to say that these glasses are definitely worth it. These are also the best gaming glasses under 30 years old too especially since they are very cheap. This is a buy-one-take-one purchase which means you get two glasses at a very low price. Just don’t expect anything grand about these glasses, however, buyers sure do love them. Everything about these glasses is simple. It has plastic frames with hinged temple arms and amber-tinted lenses that help reduce eye strains and combat blue light. The overall design is nothing out of the extraordinary but it sure does look fitting for leisure attires. As for the durability, don’t expect it to last long. Considering the price and material of the frames, it’s not a surprise if the glasses won’t last more than 2 years. There is really nothing more to say about these glasses but if you’re looking to buy two pairs for two people or have a spare, look no further. 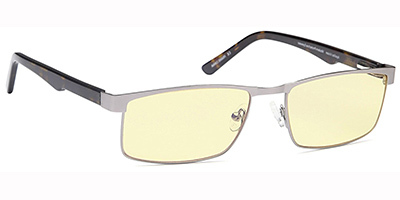 Altec Vision also has a pair of glasses that is competent in both looks and functionality. These glasses not only look good but they work well too. The tortoiseshell acetate arms offer comfort for the ears and the stainless-steel frames complement the acetate. The lens themselves are exclusive xBlue resin material which reduces a lot of blue light and UV. Say goodbye from having long breaks due to eyestrain as the lens reduces the glare and color distortion. It also maintains 90% visible light passage. Not to mention it can act as sunglasses too against the bright rays of the sun. Now let’s talk about the flaws. As much as it looks good, it doesn’t feel as good. The nose pieces tend to move too much that it becomes an annoyance. This may not be an issue for anyone who always wears glasses but those who are new might not like the feel. The lens themselves tend to get smudged easily and unusually hard to remove even with a cloth. But overall, these are quite impressive glasses especially if you prefer amber tint over non-tinted glasses. The Gamma Ray glasses offer more than just being gaming glasses. They can help during sleep, be sunglasses during a sunny day, and great for computer-based work. For just $14.99, you get lots of value out of these glasses. The orange tint doubles the protection against blue light and UV rays thanks to the xBlue material inside. It can block out to a whopping 97% of blue light too which is very handy for players who are prolonging their game times. The material all throughout may be plastic but that does not mean it hinders everything about these amazing glasses. It is lightweight, stylish, and definitely helps neutralize the brightness from either PC, TV or mobile screens. As for the flaws, the major drawback here is the orange tint itself. The orange tint is not bad at all per se but putting them on suddenly to view bright screens may lead to color distortion. Unless you do not mind the tint, it will definitely take you time to adapt to the change. Not to mention the lenses are also not scratch-resistant. All in all, it’s still a good pair of glasses. That is if you do not mind orange tint. There is no doubt that some of us prefer old-school rather than modern looks. Trust Optics’ computer glasses may look retro but its capabilities are undeniably modern. Featuring lens with an exclusive “blue guard” protection system and durable ergonomic frames, these glasses are a thing of beauty. It’s even a huge bargain too. You get a very affordable price without any of that expensive hipster motives. The lenses are also amber tint that delivers a perfect balance between comfortable visuals and heavy protection. 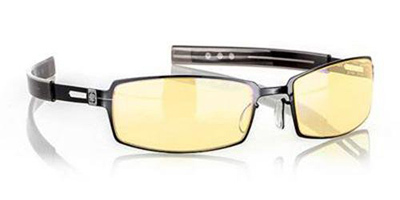 You also get the benefit of the TR90 polycarbonate frame which makes these gaming glasses very lightweight. 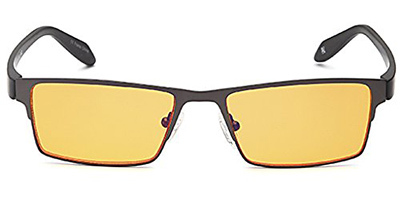 The design of these glasses is both professional and casual which will make you look great while working or playing video games. The best part about these glasses is that not only does it look stylish but it is also very durable. It is shock-proof, fall-proof, and scratch-proof which makes these glasses extremely reliable. As for the cons of these glasses, the amber tint tends to be too much. You may think it’s subtle on the outside but once you wear it, it’s actually heavily yellow. It’s similar to the Gamma Ray glasses which is also heavy on the tint. Normally, this would be normal but if your eyes are too sensitive for glasses with tints, you might have a headache after usage. Otherwise, it’s really no big deal. Lenses are deceivingly really yellow when worn despite looking clear outside. Overall, this is a very sweet deal for avid gamers who are aware of the blue light hazards and need eye protection. Hipsters beware as these glasses are mostly for gaming, not for vintage Instagram photoshoots. There you have it, your top choices for best gaming glasses. If you were to ask our recommendation, we highly recommend getting the J+S Vision Gaming Glasses. Not only does it look really good, but it performs extremely good as well. It was a close match between that and the Trust Optics vintage glasses. Ultimately, it’s the overall comfort and non-annoying tint that made J+S stand out. For $24.99, that makes it a very sweet deal. It even lasts a very long time too. But if you fancy yourself something more expensive, go get the HyperX or Gunnar Optiks glasses. 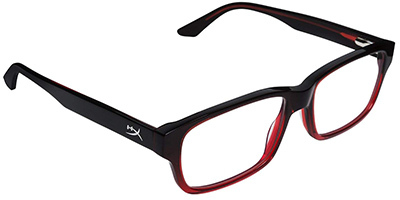 HyperX is known for their presence in the gaming world and it’s certain their glasses help gamers a lot. Same goes with Gunnar Optiks minus the fancy gaming brand and pro-gamer colors. Just know that the cheaper ones offer the same as these bigger brands. However, if you just don’t want to blow your budget, just go with the starter kit of either Gamma Ray Optics or Altec Vision 2-pack which are both just $12.99. Ultimately, it really comes down to your reference. Remember that all these glasses are 0.0 grade so do not expect them to be reading glasses at all.